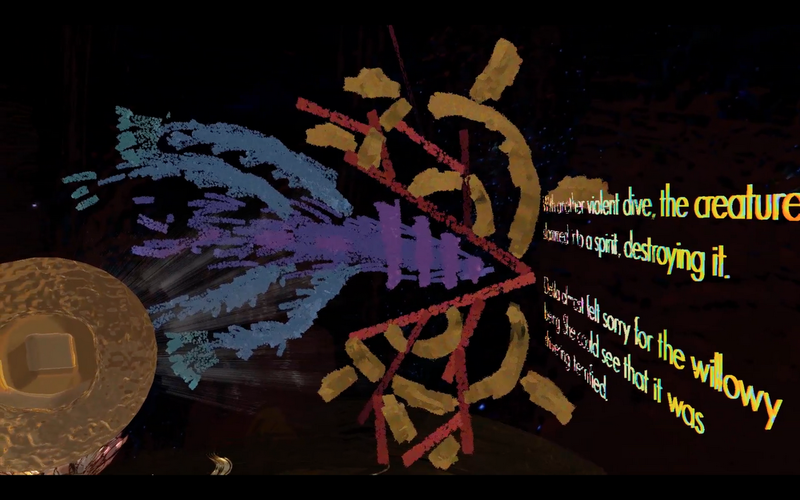 Editor’s Note: As part of his residency, Tilt Brush artist Isaac Cohen—aka Cabbibo—used the Tilt Brush Toolkit to create a VR picture book titled “Delila's Gift,” which tells the story of a small sea creature named Delila and her struggles to comprehend the darkness around her and what it means to belong. 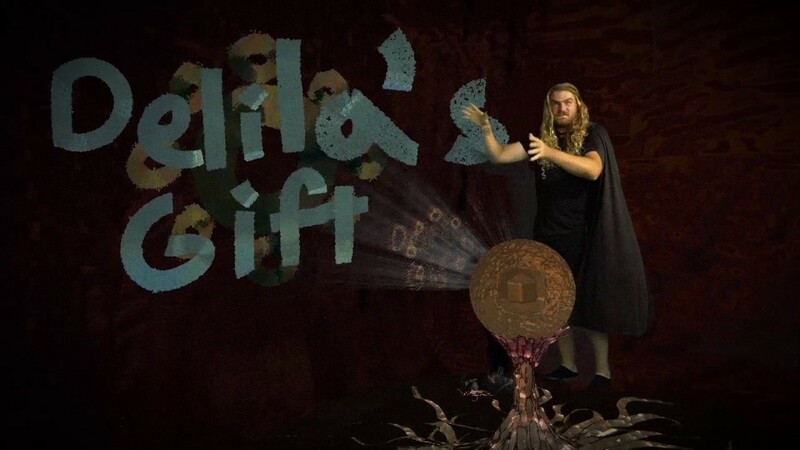 “Delila’s Gift” is free to play on Steam. 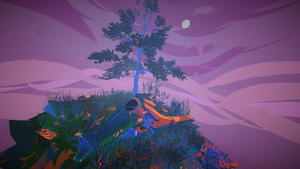 We caught up with Isaac to hear more about what inspires him and what it’s like working with Tilt Brush. 1. 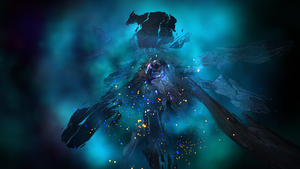 Walk us through your creative process in Tilt Brush. How do you use it? 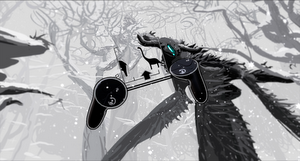 The Tilt Brush interface is really intuitive, so it’s easy to get started. For me, it’s the first step of the creative process. After painting in Tilt Brush, I take my paintings and use them as the basis for a simulation that is coded in Unity. 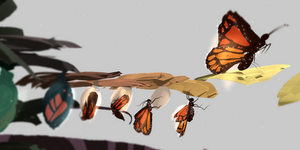 I end up with these tiny little sprites that recreate the form of the painting. Because I'm recreating the painting with a limited number of particles, the paintings need to be simple. This is hard for me because I really can't draw, so making simple paintings means repainting each page many times until it feels right. My inspiration comes from my personal experiences, as well as from nature and reading about fantastic natural phenomena and creatures—things like nudibranchs, jellyfish, redwood trees, the reflection of light on the water, prisms, iridescent beetles, and the clouds rolling in over the edge of a mountain. For “Delila’s Gift”, it was an experience I had one day when I was biking, and a car almost hit me. The driver started yelling at me and continued to follow me. I was angry, and I entered fight or flight mode, which wasn’t helpful. I believe that had I taken a deep breath, I could have had a meaningful interaction with that person and showed them love. Taking a deep breath in moments of fear and loneliness can help calm our minds and remember how miraculous it is to be alive. It's a gift; hence the name. 3. Do you have any advice for other Tilt Brush creators? 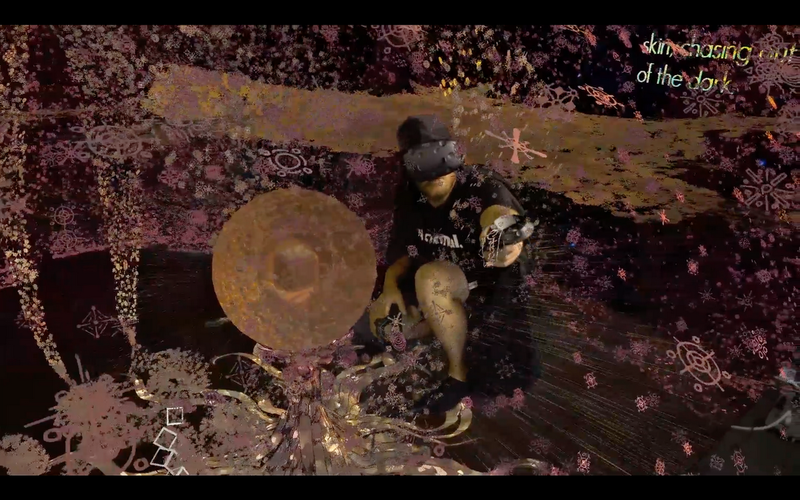 Tilt Brush is the equivalent of my VR journal. I use it as a place to sketch and think, to imagine and inhabit the space that I am about to create. I’d suggest that any time you create a new project in VR, whether it’s a game, a narrative, or some other weird experience, you should spend some time in Tilt Brush, mocking up what the scenes, characters and interfaces look like. It’s such a special way to get used to the space you are about to inhabit, and allows for dramatically quicker iteration in terms of understanding scale, size, physical aesthetic, and practicality.